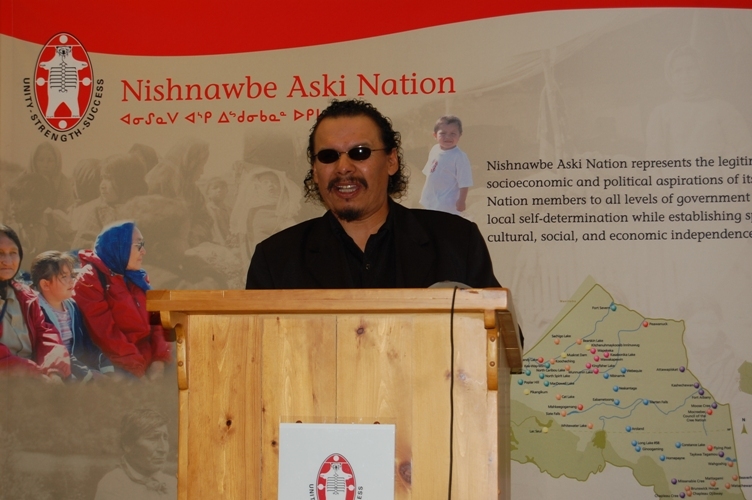 The Treaty No. 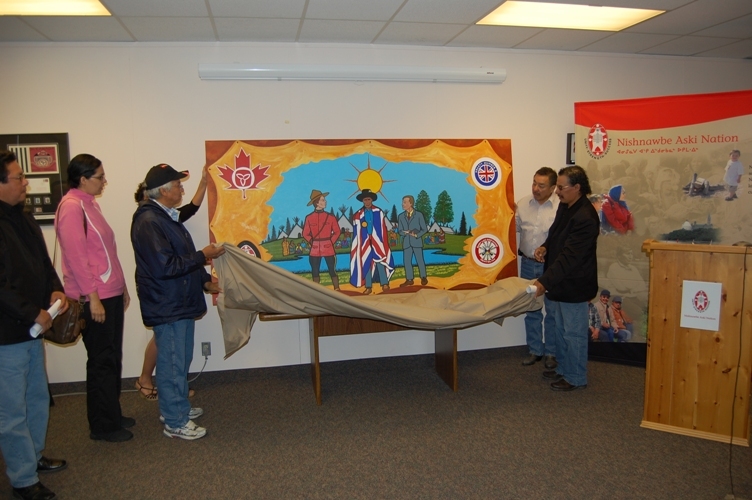 5 Centennial Commemoration was launched with the unveiling of a painting depicting the historical significance of the Treaty No. 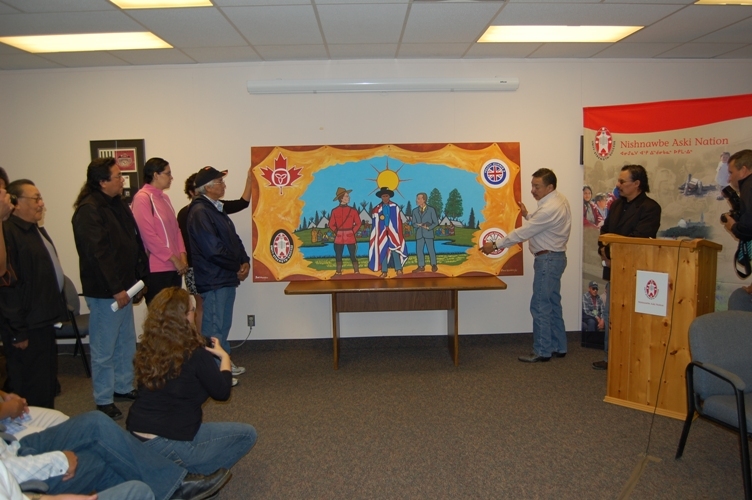 5 adhesion signing that took place on June 10, 1910. 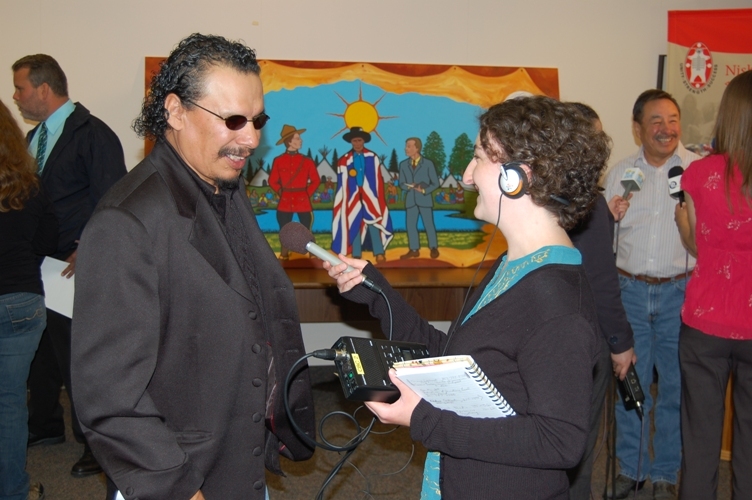 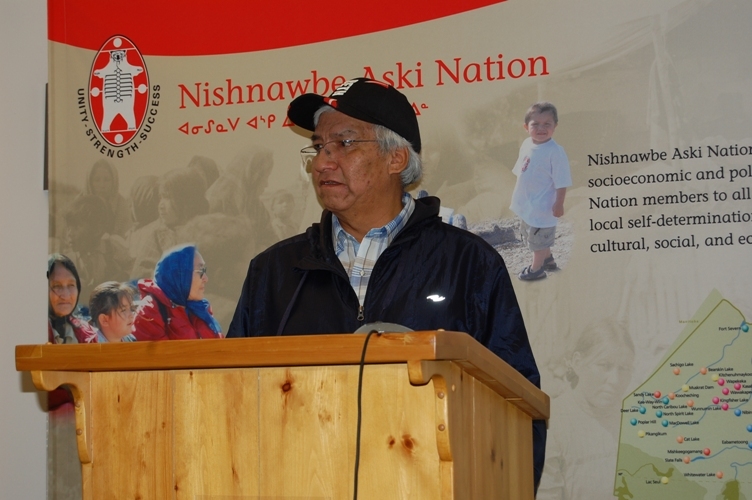 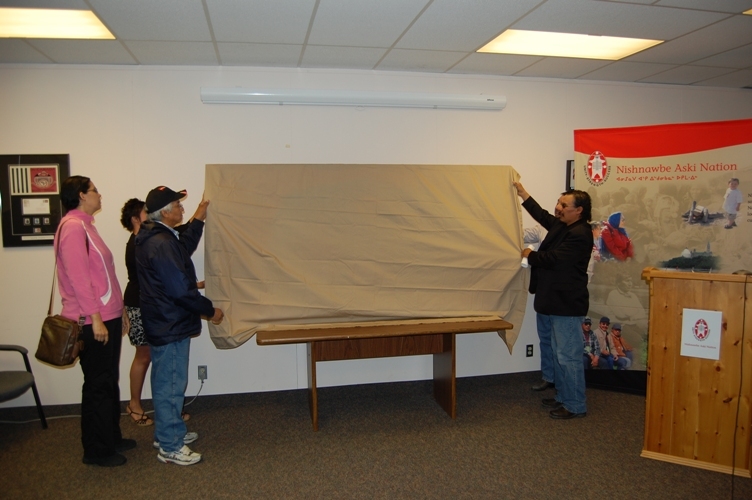 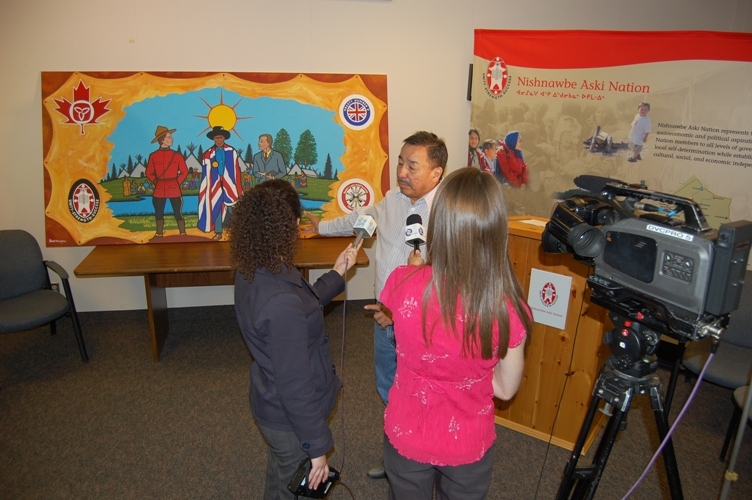 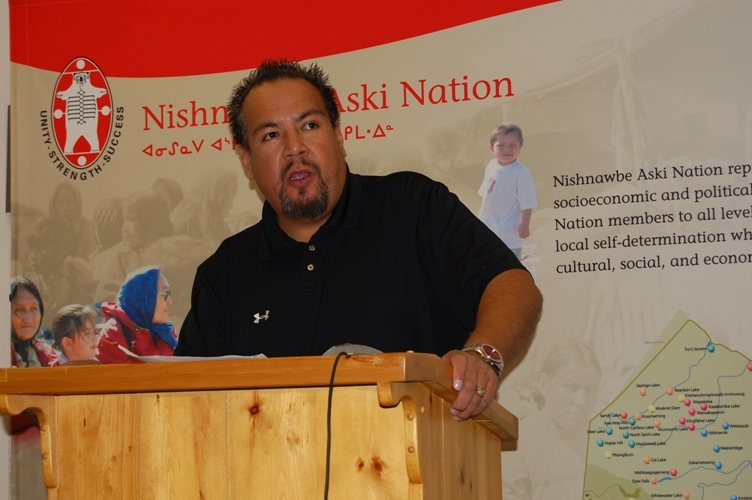 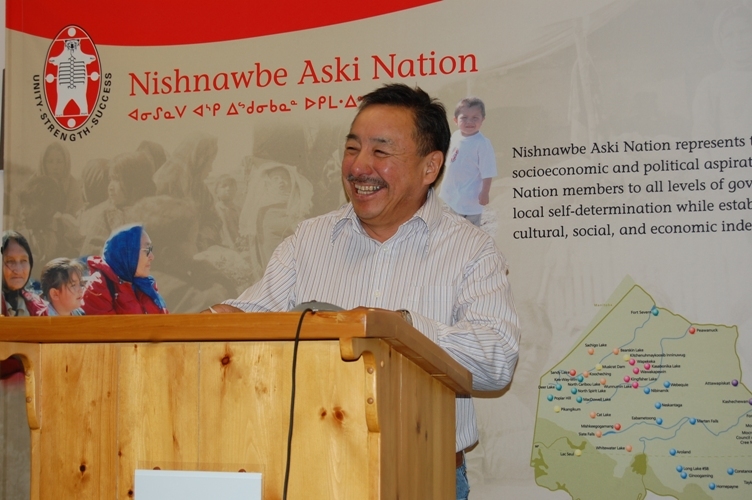 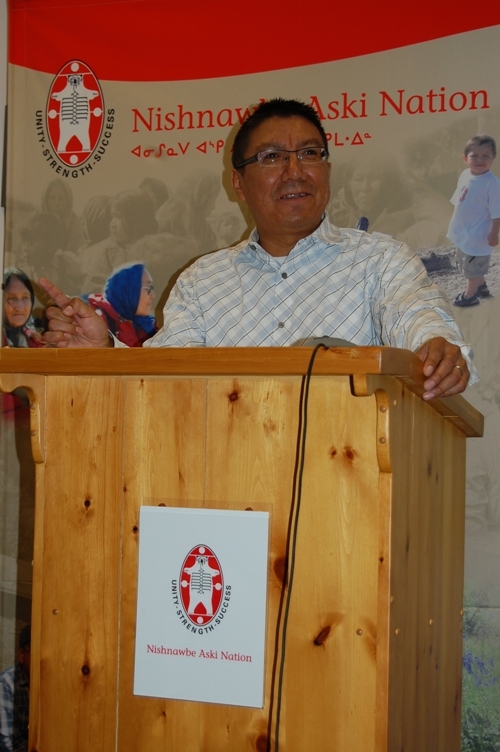 Representatives of Nishnawbe-Aski Nation and Sandy Lake First Nation gathered in Thunder Bay on July 24, 2009 to unveil the painting by Sandy Lake artists Bart Meekis and Robert Kakegamic. 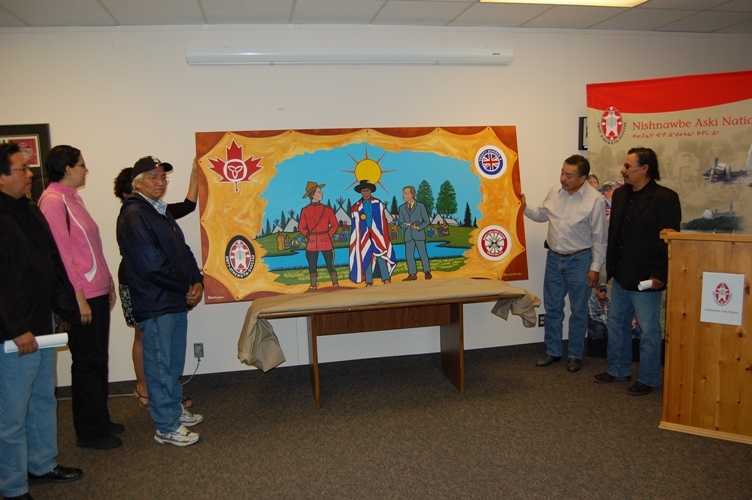 The painting is the official image of the Centennial Commemoration which has been themed "A Journey to Remember/Honouring Our Treaty". 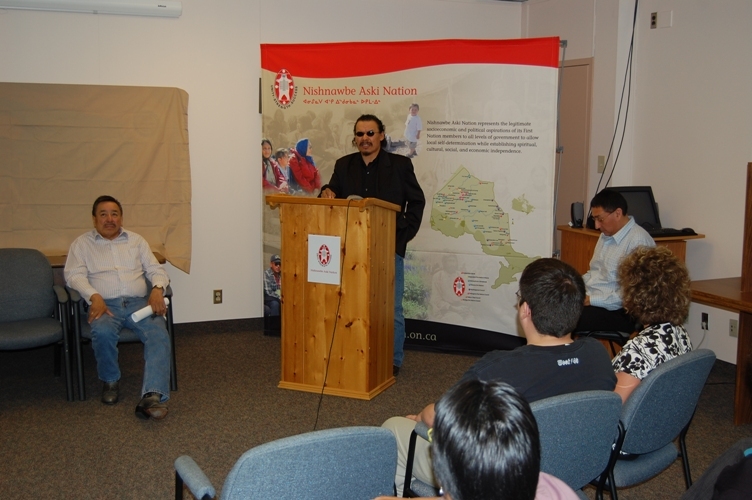 Click here to read the press release from NAN about the commemoration launch.